Just how quickly can you size up a person and a situation? “Rear Window” opens with sweat rolling down James Stewart’s forehead as he sleeps. The thermostat in his apartment window reads 94 degrees. In the Greenwich Village courtyard outside, an ad blares on a neighbor’s radio, a clock’s jarring alarm awakens another couple who is sleeping on the fire escape, and a woman across the way is exercising in her tiny apartment. The camera slowly pans around inside the apartment. Director Alfred Hitchcock reveals how Stewart wound up in a wheelchair, what he does for a living, and what his neighbors are like. L.B. Jeffries’ camera broken while he was shooting photos of a car crash at a race track. The focus shifts to a broken camera atop a table near photos of a car crash at a racetrack. It looks like the cars are about to topple onto the photographer. Among the photos, a negative of a woman. Then her finished print is on a cover of a stack of magazines. Within 2½ minutes, without saying one word, Hitchcock shows you plenty about his main character, L. B. “Jeff” Jeffries, played by Stewart. Stewart is a top photographer for a magazine. He was injured six weeks earlier, taking that dramatic shot of the race car. He’s itching to get out of his plaster cocoon and back into action. Meanwhile, in his boredom, he admits he has nothing to do but watch his neighbors. We become unwitting partners in his rear-window ethics as he moves from “people watching” to “peeping Tom.” We never avert our eyes when what we see is the very personal stories of people’s private lives. “All of the stories have a common denominator in that they involve some aspect of love. James Stewart’s problem is that he doesn’t want to marry Grace Kelly. Everything he sees across the way has a bearing on love and marriage,” said Francois Truffaut in an interview with Hitchcock about his films. Stewart’s voyeurism narrows in on one couple in particular – Lars Thorwald (played by Raymond Burr) and his invalid wife. They bicker constantly. One night, Stewart hears a loud crash and a scream. The next morning, the wife is missing and Burr is acting suspiciously. He’s rolling up his wife’s bedcovers and wrapping a knife and saw in newspaper. Then, late at night, Stewart sees the salesman carrying his sample suitcase to and from his apartment. Stewart suspects Burr murdered his wife. At first, Kelly, who plays a high-society fashion consultant, dismisses Stewart’s hunches. Jeff (Stewart): Why would a man leave his apartment three times on a rainy night with a suitcase and come back three times? Lisa (Kelly): He likes the way his wife welcomes him home. Stewart’s physical therapist, Stella, (played by Thelma Ritter), also downplays his fears. Soon, however, all three suspect foul play and watch Thorwald’s every move. At Stewart’s request, his old Army buddy investigates. The buddy, now a police detective, Thomas J. Doyle (Wendell Corey), tells Stewart that there was no murder. He says the missing wife moved to the country. They’re disappointed and feel a little foolish … until, one evening when Stewart and Kelly hear a piercing scream cut thru the courtyard. A neighbor’s dog is dead, killed. All the neighbors rush to their windows to see what happened. All of them … but, one. Only the burning ember of the suspected killer’s cigarette is visible as he sits in his darkened apartment. The motive? The dog was digging in Thorwald’s garden shortly after something was buried there. Kelly decides to break into Thorwald’s apartment to search for evidence that would prove his wife was dead. First, Stewart calls Thorwald to arrange a meeting at a bar down the street as a pretext to get Thorwald out of the apartment. Stewart hints at blackmail. Kelly gains entry to Thorwald’s apartment and finds the evidence she needs. But Thorwald returns before she can escape. Here, Hitchcock, the Master of Supsense, builds tension in that encounter and in another inside Stewart’s apartment. Hitchcock made no apologies for the 1954 film’s hero spending all his time peeping out of the window. Rear Window was one of Hitchcock’s greatest films…I think. I think I’ve seen the movie almost about a half a dozen times. I would mind seeing is again now that you’ve posted this about it! Thank you for sharing, Judy! Deb, our family also has watched this film many times. 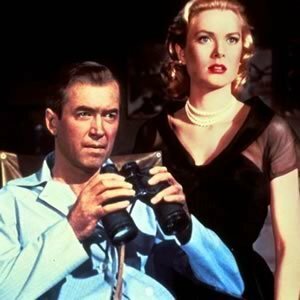 “Rear Window” is one of my favorites. I love it when Hitchcock’s combines his playful humor with suspense. 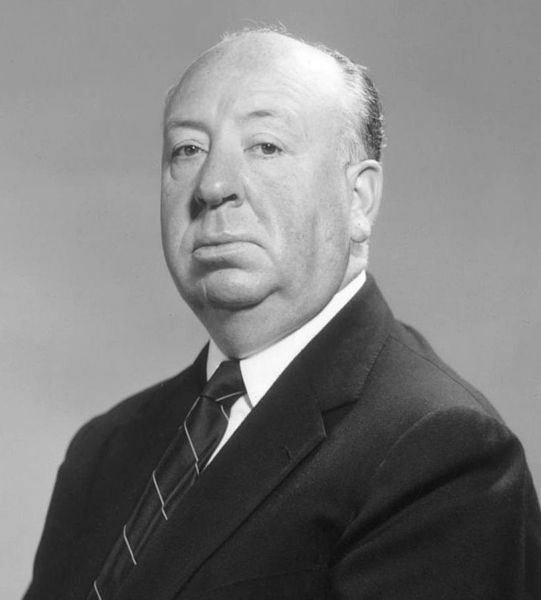 Hitchcock had many great films. I hope you have a wonderful weekend as well, Deb. You know, I’ve posted more than once about my general dislike of old movies. But you have me intrigued enough to watch this one. I may have seen it in college, in a film course, but I don’t remember it. I’m glad you’re going to check this film out. I did take a film course at Onondaga Community College and was fortunate to have film critic Doug Brode teach it. He also showcased Hitchcock’s films at the Everson Museum in Syracuse. His insights were riveting and opened my eyes to what I saw on the screen. Charles, I grew up on films of my parents’ generation, so I am hooked on many of them. Many are just excellent. 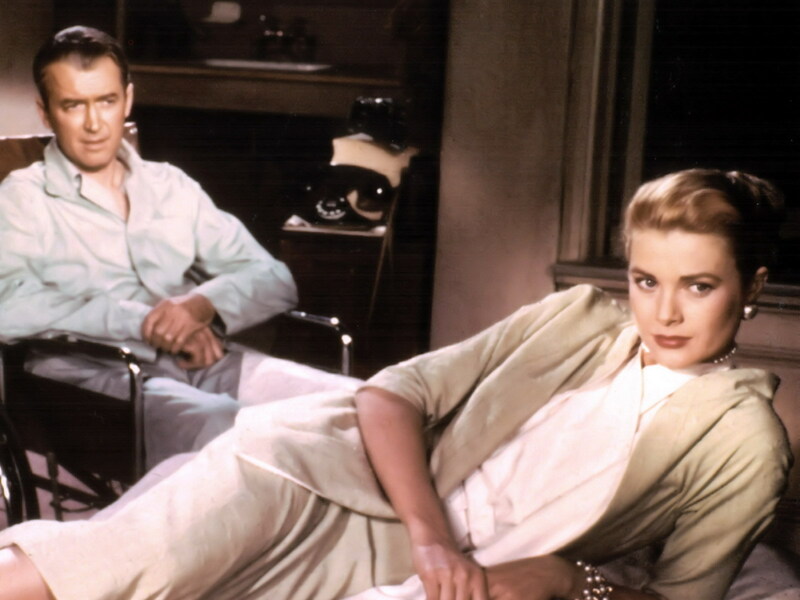 Judy, Rear Window is one of my all-time favourites. I think it is the sound track of the film which draws me in every time. Seminal moments like Grace Kelly’s entrance and the rustle of her skirts, and the every-present backdrop of the city sounds; the noise of other people living close by lulls us and it is very hard to believe that something so horrendous can happen when all that humanity is buzzing outside the window. Hitchcock was a very clever man. Grace Kelly’s fashion, urban sounds and people watching, intrigue … I agree, Kate. Hitchcock captured it all excellently. I love his interview with Francois Truffaut. Very enlightening. 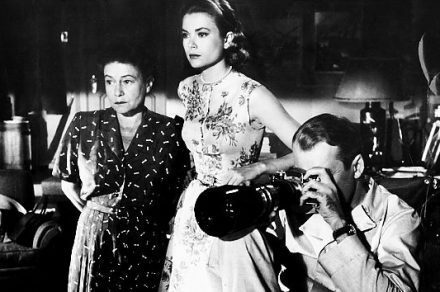 “Rear Window” is also one of my family’s favorites. Thanks for this post, Judy. “Rear Window” and “Dial M for Murder” are among my favorite Hitchcock movies. (Wrote the blogger who dressed as Melanie Daniels for a costume party.) Did you happen to see HBO’s “The Girl?” Hitchcock, and his wife, were pretty intriguing people! I haven’t seen “Hitchcock” yet. Have you? AA, I’d love to see that photo of you as Melanie Daniels. Originally, I was tempted to see “Hitchcock,” but decided against it – bad reviews. Plus, I’d rather focus on his talents as a director. He had quite a few personal issues, Tippi Hedrin was just one of many. Maybe I’ll surprise you with that photo one of these days. I didn’t know “Hitchcock” got bad reviews. I’ll probably skip it – would rather watch one of his films instead. You might want to check out the Salon.com story on Hitchcock. Here is a link to another paper’s review of the movie “Hitchcock.” I don’t want to give him a pass because I enjoy his films, but it would be better if he were around to defend himself on Hedren’s claims. They may be true, or not. Great story Mom, this movie is one of my favorites. So much said with using only a camera, just brilliant. Thanks, Jenn. I believe this is one of Hitchcock’s best. Although, I do love several others he’s done as well. Great movie. I love the way Hitchcock does it. Now I want to watch it again. Hitchcock said he was feeling very creative at the time. It certainly shows in this classic movie. Thanks for your comment, Danielle. Madhu, I can’t count the times I’ve watched this film. It is a favorite. Great post! You inspired me to watch the golden classics. I believe I saw one at my son’s library DVD section. Thanks for the tip. It’s a great suspense-filled film. 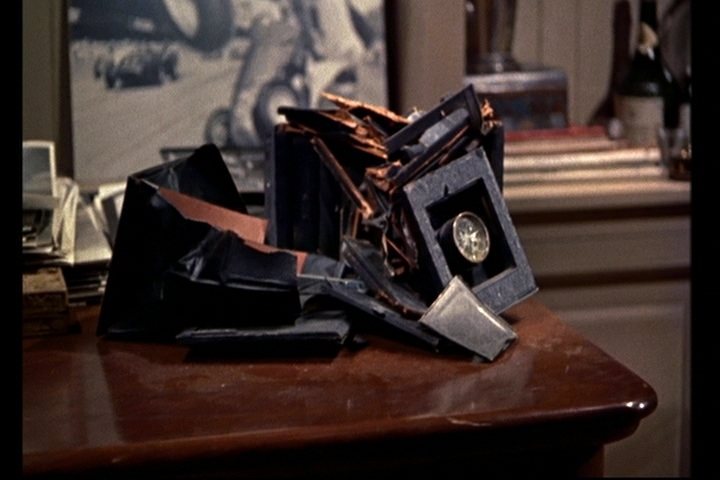 His camera shots are mostly from inside James Stewart’s apartment. Only one is outside. Hitchcock makes maximum use of the camera to tell a story. I’m sure you’ll enjoy the film, Island Traveler.